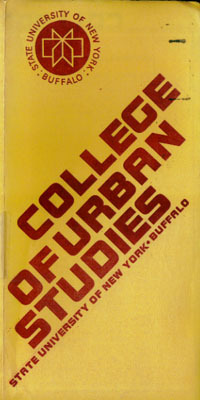 THE COLLEGE OF URBAN STUDIES started in 1975 and was formed out of the former "C. P. Snow College" and "College Z" from the Colleges at UB. 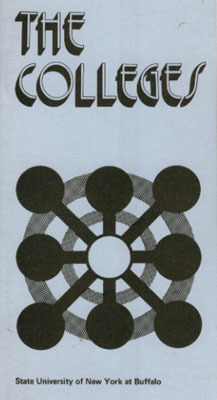 These were student-initiated colleges which were created out of the riots of 1969. 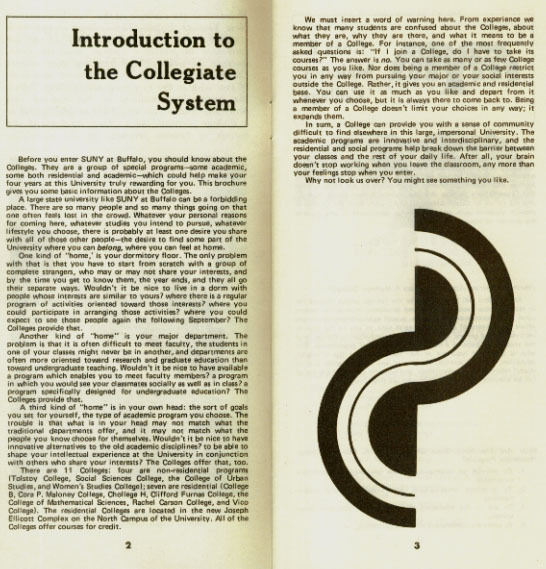 In 1974, the new Governor Malcolm Wilson said that the Colleges had to be accredited by the State or they would be terminated. As part of my stipend from the Department of Civil Engineering (Socio-Engineering Program) I was asked to create the curriculum and get the new College of Urban Studies chartered under W. Recker and R. Paaswell. "Buzz" Paaswell was the faculty Chief Administrative Officer of the new College, and I had the title of Director for the first semester. 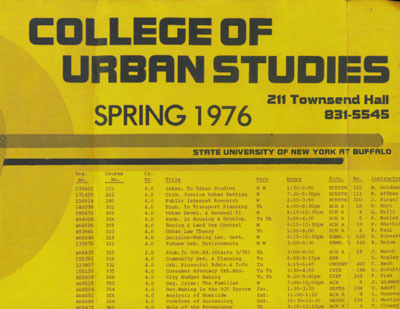 In the Fall of 1975 I went to Rutgers to pursue a Masters of City & Regional Planning, which I obtained in 1977. 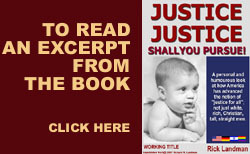 I have been an AICP certified planner for 30 years and became a land use attorney in 1988. It all started back at UB from this project. 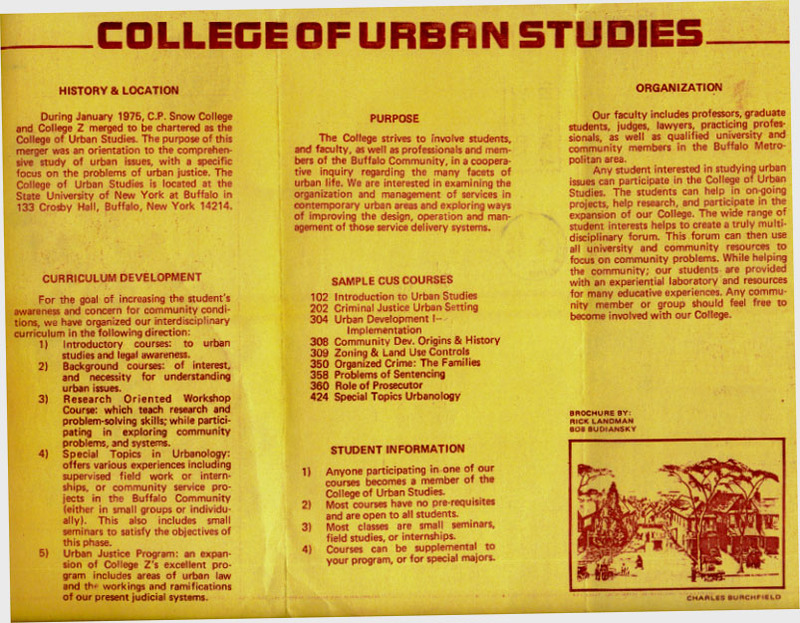 Below are some of the pamphlets that were made for the College.